Offering you a complete choice of services which include Wedding Catering Service, Outdoor Catering Service, Birthday Party Service, Corporate Events Service, Kitty Party Service and Indoor Catering Service. Make your loved ones birthday all the more special with our world class catering. Be it your kid’s first birthday or your grandfather’s birthday. All our preparations are made fresh using the best quality ingredients for unmatched service. Kitty parties are meant to be fun filled and easy going, so why should you take the trouble of making food. We help you make your kitty party more enjoyable and the talk of the town. With our highest quality ingredients, the preparations are made fresh and right in front of your eyes. Get the best in class indoor catering with us. 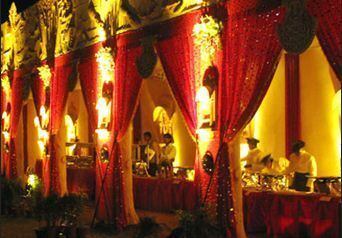 Customized menu, theme décor and state of the service are some of the highlights of what we provide. Commitment and dedication towards each and every event is what makes us stand apart from the plethora of caterers in town. By: Global Maintenance Services Pvt. Ltd.